At Jarrods, we’re always looking to try new things to push the boundaries of staircase design. With this in mind, we’re delighted to have been working with some new materials recently; our clear-cut spindles. Like the glass panels we sometimes use in staircase renovations, our new clear-cut spindles create a light and airy feel. At the same time, they offer a more dynamic and artistic look to the interior of your home. Both the natural and artificial light in your hallway will reflect off each spindle, creating unique shades of light and shadow at different times of the day. It’s mesmerising to see the way in which the light bounces off these special spindles; they even sparkle in the right light. Our brand new range of clear-cut spindles offers an alternative, contemporary design to the traditional wooden or metal spindle. They are durable, shatterproof and, once fitted within the base and handrails, very strong. We love groundbreaking designs but we also believe that safety should always come first. As such, you can rest assured that our new spindles comply fully with building regulations. They are also fixed in exactly the same way as our more traditional spindles. While glass staircases are just as durable as traditional wooden staircases, some of our customers want something unique. Made from a special shatterproof material, our clear-cut spindles are truly resilient. Even so, they still make the most of natural light and space in the same way that glass panels would. If you’re fed up of the heavy appearance of a traditional spindle, this clear-cut range could be the solution for you. 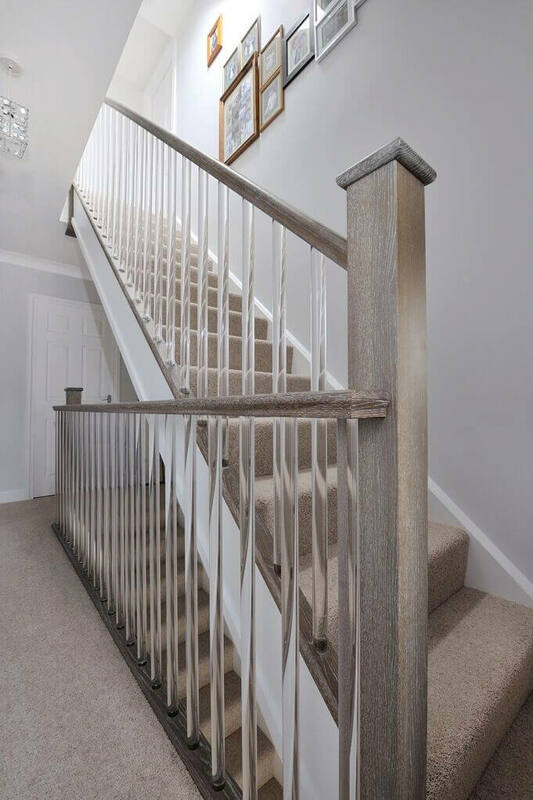 The clear-cut spindles act as the perfect compromise for those who want to modernise their staircase but don’t want something as minimalistic as large panels of glass. It may still be early days for our new clear-cut spindles, but the possibilities are endless. We can use the spindles with any types of wood to create an entirely bespoke look. And if you’re looking for something truly special, we can even add lights to the underside of the base rail to softly illuminate the spindles in a way that makes the light cascade through your hallway. 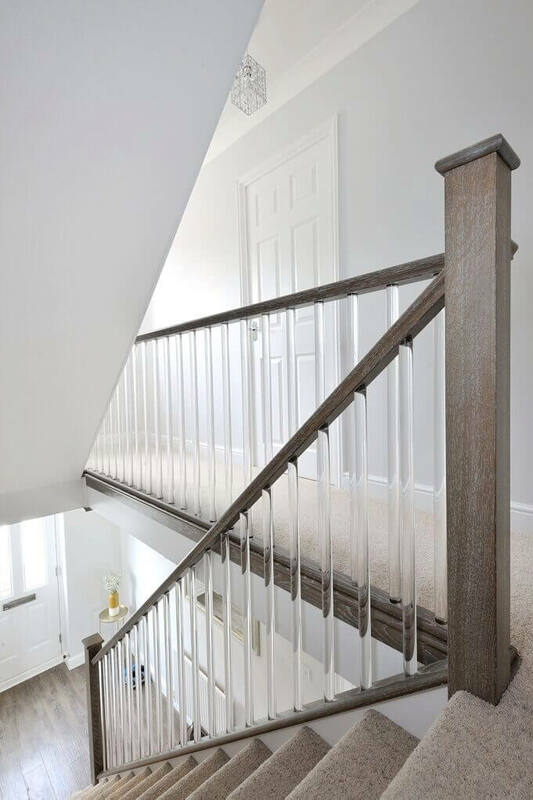 If you want a clear-cut way to bring your dream staircase to life, get in touch with our team today.